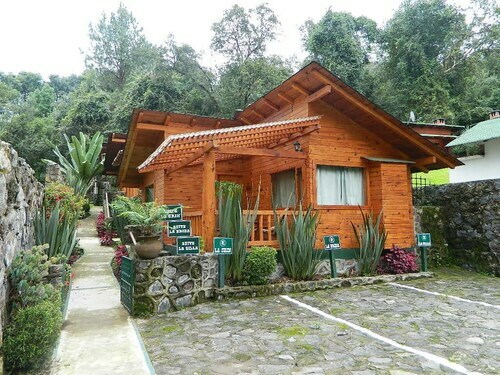 Situated in the mountains, this spa hotel is 1 mi (1.7 km) from Velo de Novia Waterfalls and 2 mi (3.2 km) from Lake Avandaro. Church of Saint Mary and Valle de Bravo Archaeological Museum are also within 6 mi (10 km). 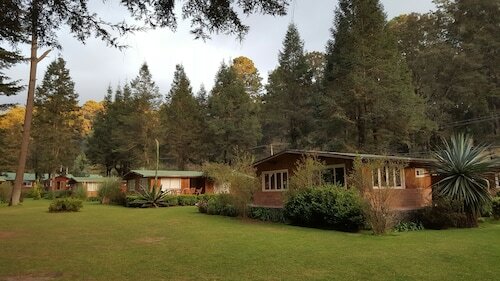 Situated in a rural location, this cabin is 2.5 mi (4.1 km) from Rancho Avandaro Country Club and within 9 mi (15 km) of Velo de Novia Waterfalls and Church of Saint Mary. 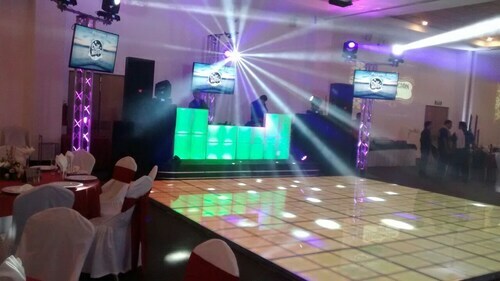 Joaquin Arcadio Pagaza Cultural Center and Central Square are also within 9 mi (15 km). 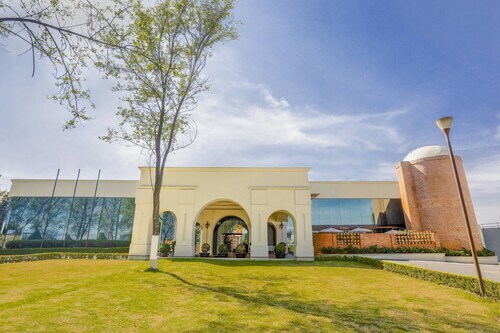 Located in Metepec, this spa hotel is 0.8 mi (1.3 km) from San Juan Bautista Church and 1.4 mi (2.3 km) from Galerias Metepec Shopping Center. Church of Calvary and La Tlanchana are also within 1 mi (2 km). Situated near the airport, this hotel is within 9 mi (15 km) of San Carlos Golf Club, Galerias Metepec Shopping Center, and Galerias Toluca. Church of Calvary and Teatro Quimera are also within 9 mi (15 km). 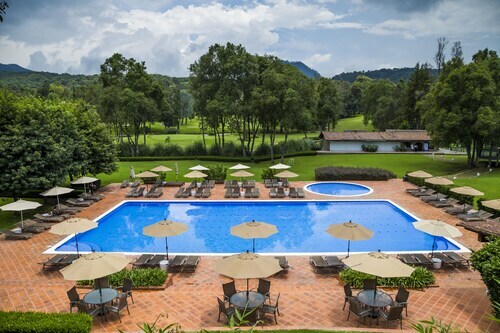 Situated in Valle de Bravo, this golf hotel is 2.8 mi (4.5 km) from Velo de Novia Waterfalls and within 9 mi (15 km) of Lake Avandaro and Church of Saint Mary. Valle de Bravo Archaeological Museum and Joaquin Arcadio Pagaza Cultural Center are also within 9 mi (15 km). Situated in Valle de Bravo, this spa hotel is within 1 mi (2 km) of Artisan Market, Saint Francis of Assisi Church, and Central Square. Joaquin Arcadio Pagaza Cultural Center and Lake Avandaro are also within 2 mi (3 km). 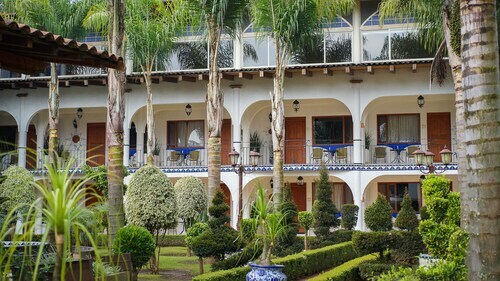 This family-friendly Ixtlahuaca de Rayon hotel is within 3 mi (5 km) of Universidad de Ixtlahuaca CUI and El Santuario del Senor del Cerrito. Ixtlahuaca Cathedral is 3.9 mi (6.2 km) away. 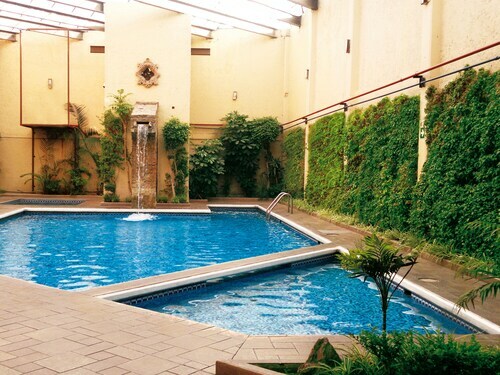 Located in the heart of Temascaltepec de Gonzalez, this spa hotel is steps from Templo del Señor del Perdón and Plaza Temascaltepec. Velo de Novia Waterfalls and Monarch Butterfly Sanctuary are also within 25 mi (40 km). 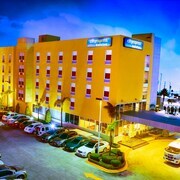 Situated in Ixtapan de la Sal, this hotel is 0.9 mi (1.5 km) from Ixtapan Aquatic Park and 2.2 mi (3.6 km) from Tonatico Municipal Pool. Our Lady of Tonatico Church and La Estrella Caves are also within 12 mi (20 km). 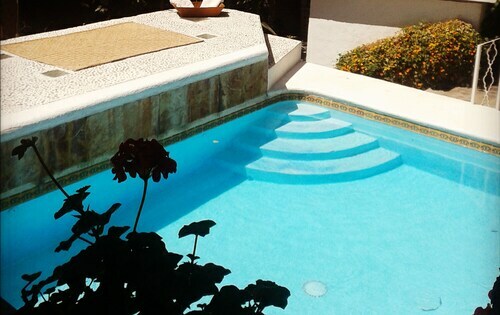 This family-friendly Ixtapan de la Sal hotel is within 3 mi (5 km) of Tonatico Municipal Pool, Ixtapan Aquatic Park, and Our Lady of Tonatico Church. La Estrella Caves and Nevado de Toluca National Park are also within 16 mi (25 km). 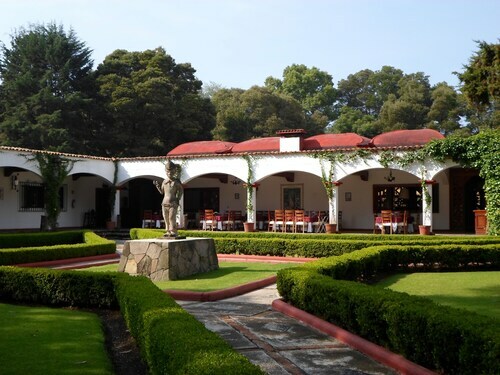 Situated in Temascaltepec de Gonzalez, this golf hotel is 11.2 mi (18.1 km) from Monarch Butterfly Sanctuary and 11.3 mi (18.2 km) from Nevado de Toluca National Park. Plaza Temascaltepec and Templo del Señor del Perdón are also within 20 mi (32 km). 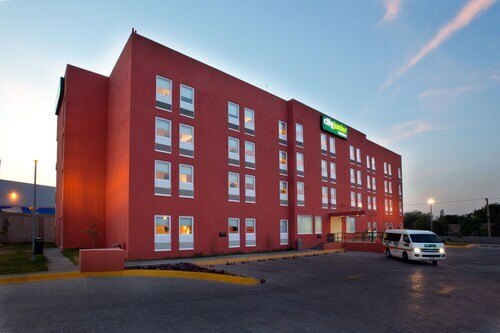 Situated in the business district, this hotel is 0.4 mi (0.6 km) from Galerias Toluca and 2.7 mi (4.3 km) from Galerias Metepec Shopping Center. San Carlos Golf Club and Monument to Ignacio Zaragoza are also within 3 mi (5 km). Fore! Feel like a winner of the Masters knowing you can easily book a great selection of Toluca golf resorts! Whether you’re a rookie or a golf prodigy, you’ll be teeing off on your favorite green in no time. 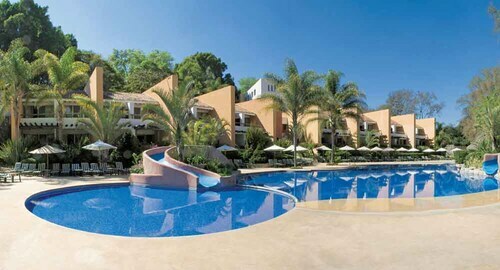 The golf hotels in Toluca allow you to enjoy all the benefits of staying close to the premier golf courses in the area. Improve your game by working on your backswing, stance, and grip at the driving range before heading to the fairway for a bout on the back nine. Impress a business prospect on the executive course or enjoy a delightful day on the fairway with your family and friends, then head back to one of the best golf resorts in Toluca for cocktails or dinner. Relax in your home away from home, knowing you’re bound to hit a hole-in-one with your hotel—though you still may need to work on your short game. 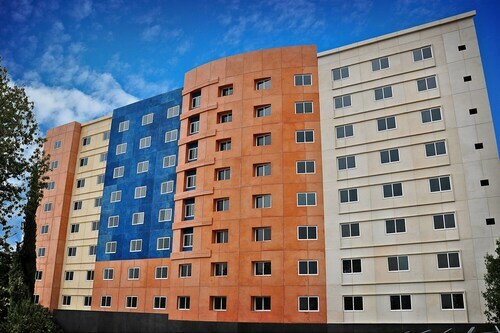 From 5-star amenities to budget lodging, Travelocity offers a variety of golf resorts in Toluca to suit your every need. We can’t guarantee you’ll hit a double eagle on the course, but we will guarantee our prices. Book with Travelocity and your hotel will be on par, so you won’t bogey on your next golf adventure. 5.0 Nice hotel, close to shopping. Had a great stay. Very relaxing and in perfect location. 4.0 Restaurant was good. Staff is very friendly and helpful. Restaurant was good. Staff is very friendly and helpful. The asian theme runs throughout the hotel and into the rooms with the furniture and artwork. There are ashtrays in every room, so no smoking is not an option. The beds are okay and the airconditioner is load which is not such a bad thing. The hotel is not located in an area designed to get out and walk around, but there are a few dining options besides the hotel. There is no internest access and no business center, so for get email via computer.